I have perfected the print to wood method by hand. 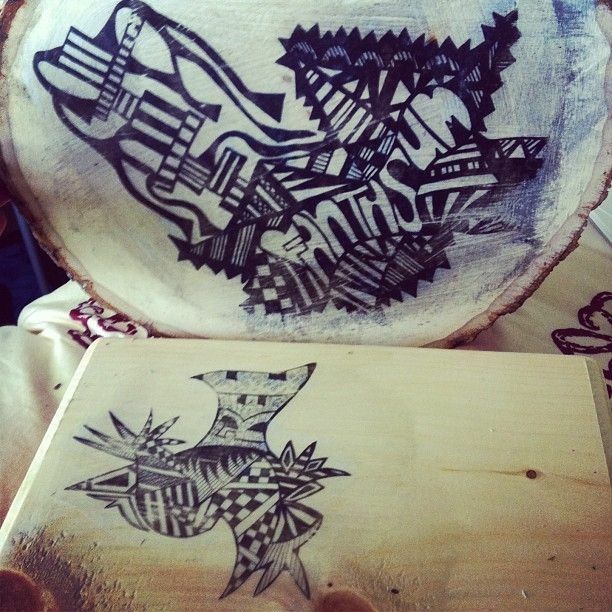 I have original Leah Chyma All Over pieces printed on all different kinds of wood. I am able to transfer other art to wood but prefer to use the work I have already done or to personally customize specific pieces for you.